Kylie and Kendall with their dad, Bruce Jenner, in 2008. Looking much grown up in a family photo, Kendall and Kylie look very high-fashion. 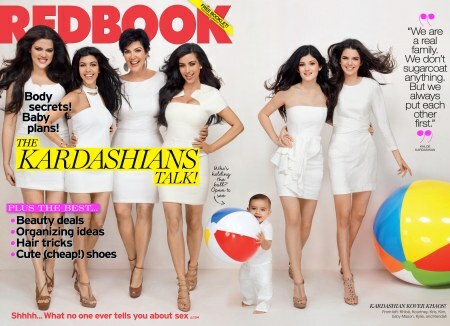 The Jenner-Kardashian clan celebrating their RedBook appearance. Kim, Kylie, Kendall and Kourtney at the Nickelodeon Kids Choice Awards. Looking tall and fabulous, Kylie and Kendall go to the People’s Choice Awards with their sisters. Kendall Jenner modeling a bikini line. Kendall Jenner starting her modeling career. Kendall modeling for Marcc T-shirt line. Kendall and Kylie Jenner at the Never Say Never premiere. The Jenner-Kardashian family in the early seasons. Kendall Jenner modeling Marcc T-shirts. Kylie and Kim posing on the red carpet. The Kardashian Redbook photo spread. 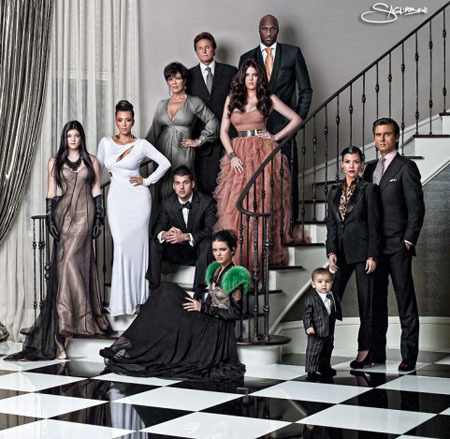 The family in the early Keeping Up With The Kardashian seasons.